At the turn of the 20th century, the British Empire was the largest nation in the world, controlling roughly one quarter of the surface of the planet. The Empire was extremely well defended thanks to local conscription and militia training across the Empire. Trade and troops from India, Africa, Australia, New Zealand, South Africa and North America meant that the British Empire was arguably one of the wealthiest and most powerful nations at the start of the War. The royal family of Britain had connections with lots of other nations – in particular, both Tsar Nicholas II of Russia and Kaiser Wilhelm II were the first cousins of the British Monarch George V. The might of the military forces of Britain was substantial as well. The Royal Navy had a reputation as being the most powerful in the world and the regular army was well trained and equipped and the creation of the Royal Flying Corps showed that they were willing to embrace new tactical advantages. 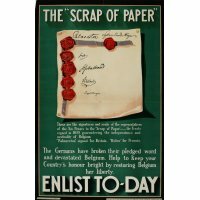 Description: A recruitment poster encouraging people to enlist to protect the sovereignty of Belgium - the reason for British entry into the war. Source: Canadian War Museum. The reason for Britain’s entry into the First World War can be traced back to 1839 and the Treaty of London. 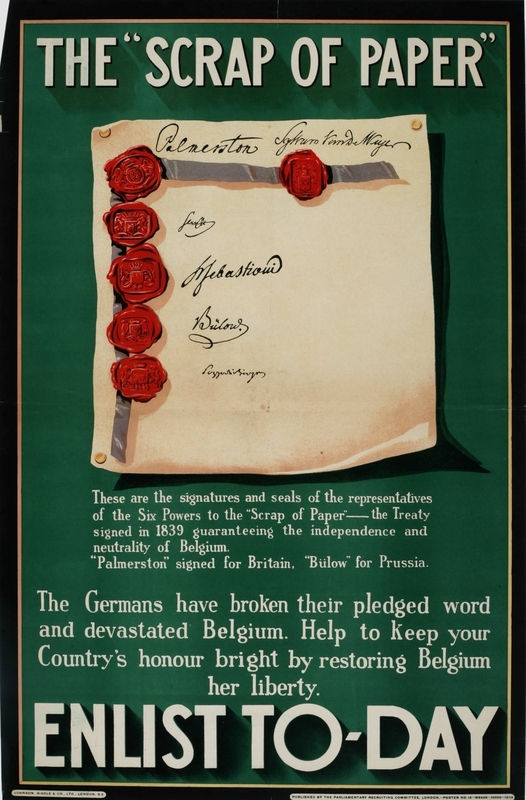 In this treaty, the borders of Belgium were finalised, but article seven of the treaty (as demanded by the British) was that Belgium remain a neutral party within Europe and that Britain, France, Russia, Austria, The Netherlands and the German Confederation should make efforts to defend that neutrality in case of a breach of the treaty. When Germany invaded Belgium in the August of 1914, Great Britain quickly rushed to its aid. Many in the Home nations however were surprised and confused at an alliance with France, as many saw France as the “natural enemy” of the British and felt that more was shared with Germany. These feelings were soon swept away however, when the horrors of the war were shared with the public. In particular, the devastating effects of poison gas were seen as particularly barbarous by the people at home, helping to drive recruitment for military service up dramatically. As the war began, the British Empire turned its gaze upon the lands of the Ottomans. The British would strike along the straits of the Dardanelles at Gallipoli. This was unsuccessful as the Ottoman Empire defended itself with a vigour not seen of the Empire in many years, though casualties were very high on both sides. After this defeat, the British Command decided to erode Ottoman rule by supporting the Arab revolt. Legends such as T.E. 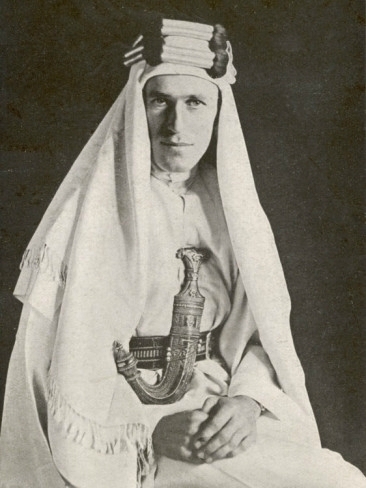 Lawrence (or Lawrence of Arabia) would be born in this almost poetic battle between the Arabs and their oppressors. 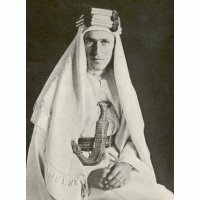 In 1914, the British also began the Mesopotamian campaign in order to properly secure their oil fields in the Persian Gulf. Beginning in November the British Indian soldiers landed on the shores of modern-day Iraq, seizing the ancient fortress near Fao. The British marched unopposed into the nearby port the next day and were met by only weak attempts to remove them from their positions. Following this, the British began to advance up through Mesopotamia, eventually taking the city of Baghdad. Back on the Western Front, the British had tried time after time to break the German lines, only to be met with insurmountable odds. The war of attrition had taken its toll on the morale of the troops, but in 1918, with the arrival of reliable tanks and long-overdue support from bulk American forces, the British could advance and hold positions long enough to allow the frontlines to shift in favour of the Allies. After the War ended, King George V gave the nations of the Empire home rule within the Commonwealth of Nations.